Here's a decent sized chunk of Sniper Ghost Warrior 3 footage, taken from a behind closed doors presentation at E3. In it, you get to see the aforementioned warrior—not actually a ghost—methodically make his way through mindfields and vegetation in the hope of eventually firing a piece of metal into somebody's head. This time, you'll be participating in a modern-day conflict between three warring factions in Eastern Europe. 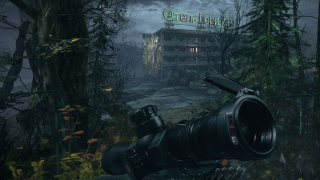 Sniper Ghost Warrior 3 will feature large, non-linear maps, crafting and—as the video shows—a sort of mine-o-vision detection mode. It's due out next year.